In any wedding, the bride appears to be the star of the show. However, that doesn't mean the groom shouldn't look his best. 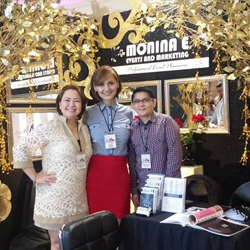 Edward Teng, an established wedding designer in Manila, shares his wisdom with all the grooms out there who want to look their part. The motif is the umbrella your wedding is likely to fall under. 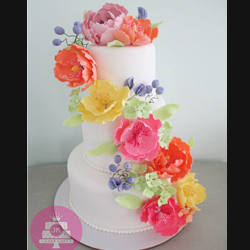 The motif refers to the color scheme and/or the inspiration of your entire wedding. For example, a pastel colored suit will stick out like a sore thumb in a black and white themed wedding. Or, a whimsical wedding might call for a more elaborate suit or tux. 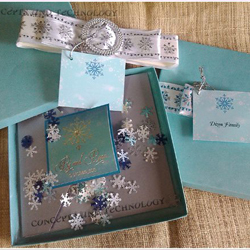 Other than the motif, customs will play a role on what wedding gown or groom suit to wear. 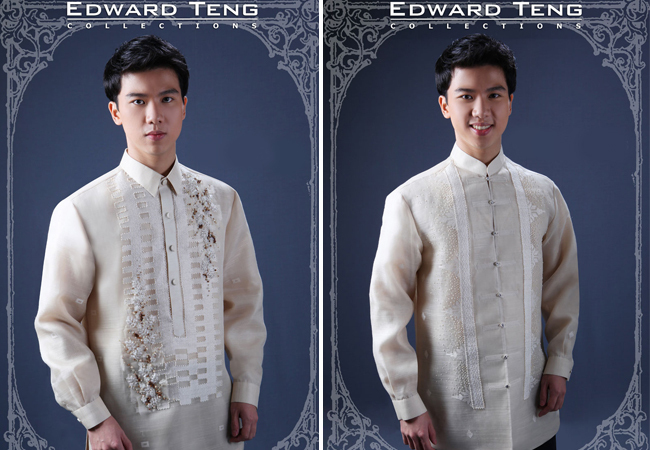 A well-embroidered barong tagalog perfectly matches a traditional Filipiniana wedding. Sherwani, a long coat-like garment, is the customary groom's attire for Indian or Muslim wedding ceremonies. In tradional Chinese weddings, the groom's attire is a black silk coat worn over an embroidered dragon robe of dark blue. According to Mr. Teng, who spent his early years designing for Saudi Royals, "It is important to know what is appropriate for your wedding, to pay respect to the sanctity of the ceremony." 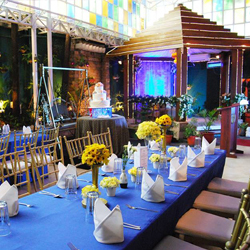 Take also into consideration where you will hold your wedding, what kind of ceremony you will have, and when will it be. 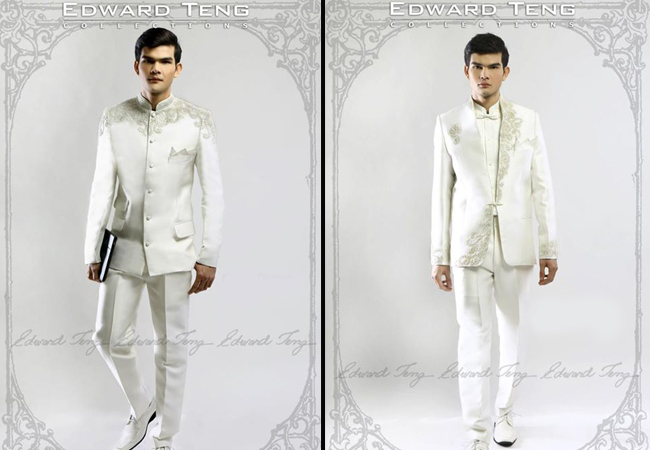 Mr. Teng advised, "Barong Tagalog is a good choice for hot, humid venues due to its thin, lightweight fabric." From the expensive Piña to the more affordable jusi variety, grooms can add embroidery or color to match certain wedding themes or motifs. Beach and outdoor weddings means a more informal affair. Mr. Teng has tailored crisp airy linen shirts to match the occasion. If your wedding is in the morning or afternoon, it is better to opt for suits in lighter color like beige or brown. On the other hand, go for a darker-colored suit if your wedding is in the evening. After you have thought all the circumstantial elements, consider next what will suit you best. Grooms often make the mistake of thinking what looks good on a store mannequin or a magazine ad will automatically look good on them. Working with a good tailor or designer ensures that your attire will fit your height, body type, and even your skin tone. Working long distance or too busy to visit a tailor shop? According to Mr. Teng, with today's Internet technologies, you can easily send your measurements and communicate with your designer, wherever you may be in the world. His website, in fact, offers a detailed guide for both bride and groom (and even the entourage) to easily determine and send in their measurements. We hope these tips will help make you look sharper on your wedding day. 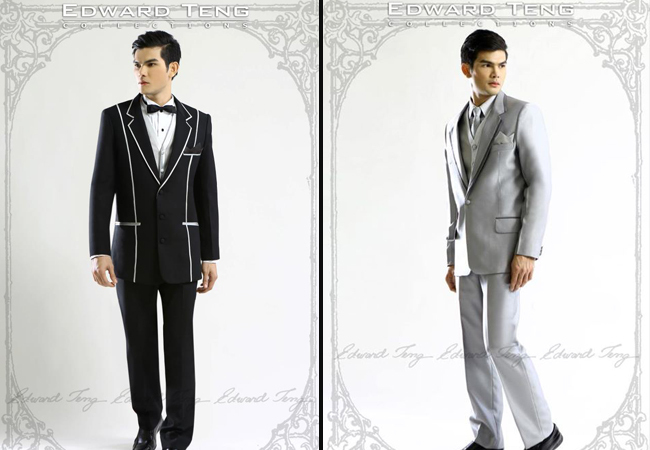 To see more outfit options and samples, check out Edward Teng's groom attire collection in Kasal.com.